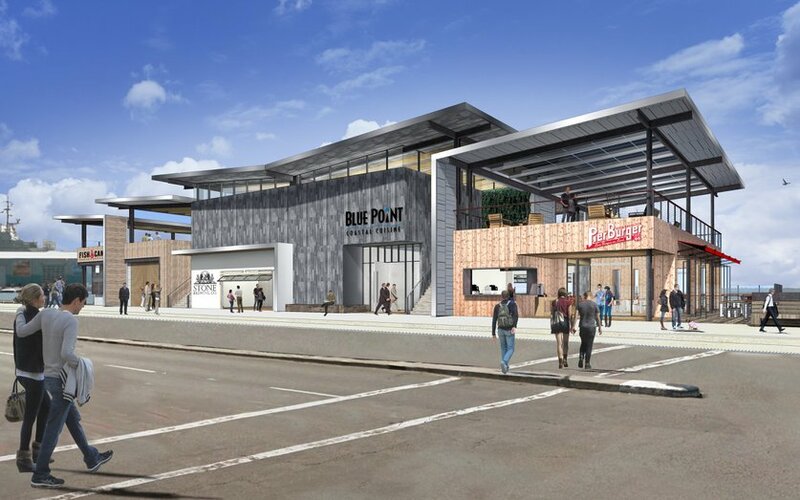 The Brigantine’s “Portside Pier” proposal, a $13.3 million plan, offers three separate uses: a steak-and-seafood Brigantine on the north side of the space, a Miguel’s Mexican restaurant on the south side and a “Ketch Grill & Taps” fast-casual concept incorporating a craft brew pub. 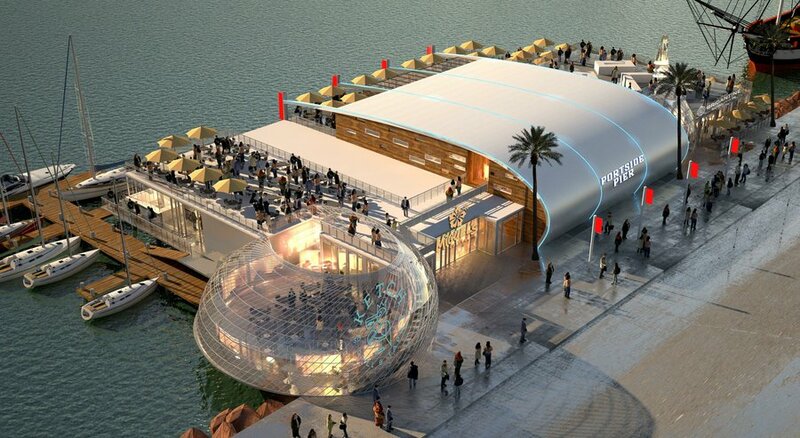 The project, designed by Tucker Sadler Architects also includes a coffee and gelato bar and an expanded dock with space for ten vessels. Perhaps most important to its success, the Brigantine’s proposal offered $10.5 million of revenue to the Port over the first 10 years of a 40 year lease. Port staff had originally excluded Anthony’s from the final round, recommending simultaneous negotiations (a point the dissenting Board voters picked up upon) with the Brigantine and Sunroad-led bidding groups, but in April, the Board extended the long-time operators a lifeline adding the Fish Market-Anthony’s team a life-line. Upon earning this, Anthony Ghio, grandson of the family-owned eatery’s originator, said they were “back in the game.” And they were. Until Tuesday. 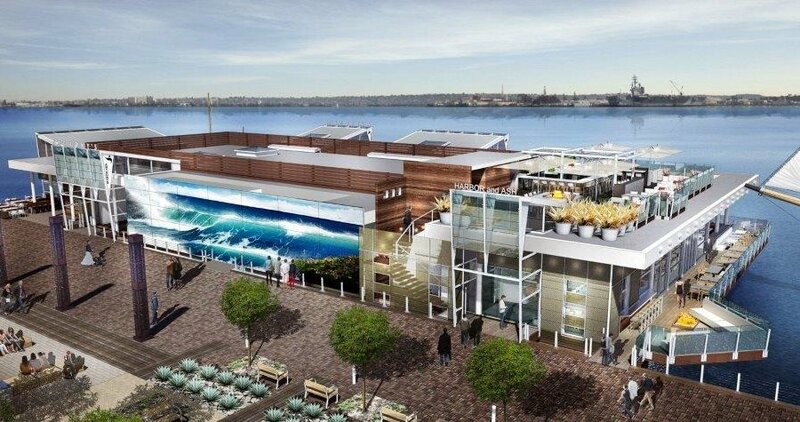 The Anthony’s bid – actually led by Fish Market Restaurant (Anthony’s was to be a sub-tenant) – proposed included new versions of the current Anthony’s Fish Grotto and Fishette, a Fish Market restaurant and a fine-dining but seafood-dominant “Harbor and Ash” restaurant. They proposed a new building including wider decks and a rooftop lounge. The Fish Market-Anthony’s proposal projected $12,000,000 and promised the port nearly $9 million in the first 10 years, $1,500,000 less than Brigantine’s proposal. That deficit – along with a history of deferred maintenance – likely doomed it. The third proposal, led by Sunroad Enterprises, might have been the most interesting. Unfortunately it was the least remunerative to the Port: also tagged at a cost of cost $12 million it would have earned the Port nearly $8.4 million, half a million less than Fish Market/Anthony’s and over $2 million less than Brigantine. It would, however, have offered a variety of operators beyond – and arguably above – that proposed by the other two bids: a Blue Point restaurant by the Cohn Restaurant Group, a Craft & Commerce cocktail and beer lounge and a Stone Brewing tasting room. Ultimately, though, the Port cited the superior revenue offered by Brigantine as well as improved public access that would “activate the waterfront” (whatever that means) as the reasons for selecting the Brigantine bid over its two finalist competitors (and three teams that did not make the final round). 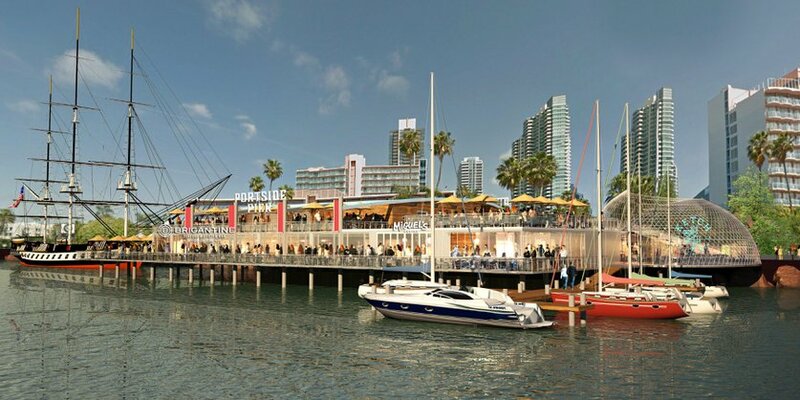 The bottom line is that San Diego can look forward to a locally controlled operation featuring an average to above-average seafood restaurant, a below average “Mexican” food operator put together in an attractive package that will increase access to the water and promises to pay the Port a lot of money. It could be worse, couldn’t it? Right?